Since its inception, the Journal of Democracy has served as the premier venue for scholarship on democratization. 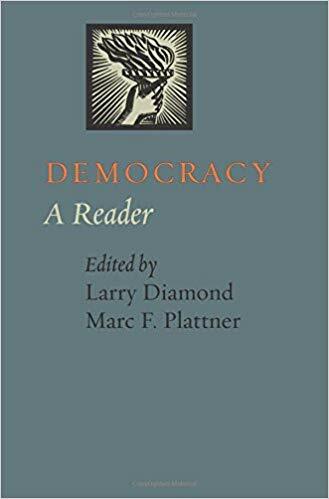 The newest volume in the acclaimed Journal of Democracy book series, Democracy: A Reader brings together the seminal works that have appeared in its pages in nearly twenty years of publication. Democracy is in retreat around the world, giving renewed relevance and urgency to fundamental questions about the system that nevertheless remains the ideal standard of governance. Contributors ask: What exactly is democracy, and what sustains it? What institutions are best suited to a democratic system? Can elections produce undemocratic outcomes? Is democracy a universal value? Democracy: A Reader addresses these important concerns with critical discussions on delegative democracy, social capital, constitutional design, federalism, hybrid regimes, competitive authoritarianism, and more. With such influential contributors as Francis Fukuyama, Robert Putnam, His Holiness the Dalai Lama, and Anwar Ibrahim, this is an indispensable resource for students of democracy and instructors at the undergraduate and graduate levels. Larry Diamond is a senior fellow at the Hoover Institution and at the Freeman Spogli Institute for International Studies, both at Stanford University, where he also directs the Center on Democracy, Development and the Rule of Law. Marc F. Plattner is vice president for research and studies at the National Endowment for Democracy and director of its International Forum for Democratic Studies. They are coeditors of the Journal of Democracy.